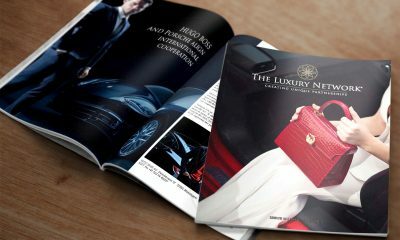 The Luxury Network is the world’s leading luxury affinity marketing group, with 12 years experience in the international market, over 30 global offices, and 500 exclusive member brands. The Luxury Network International has set Dubai, UAE, as the chosen host city for this year’s The Luxury Network International Awards presented by CAEL. The annual celebration recognizes companies and brands nominated for their achievements in the luxury industry. The honorees will include both well-established companies and emerging luxury brands, on the local and international levels as well as humanitarian personalities and successful business leaders. This year’s awards will take place at the brand new Caesar’s Palace, Bluewaters Island on 23 February 2019. “We really wanted to make a statement this year, both in location and recognizing the achievements of these brands and companies,” said Fares Ghattas, Global CEO of The Luxury Network, “Nowhere else in the world embodies luxury as the UAE, so it was the perfect fit for this year’s gala and awards show. This event will be even more exceptional than our past events.” He added. This year’s awards gala is under the patronage of H.H. Sheikh Nahyan Bin Mubarak Al Nahyan, the UAE Minister of State for Tolerance, who will be in attendance, along with over 400 representatives from the nominated companies, partners, sponsors, and honorary guests from across the globe. The presenters of the event this year include Robert Nakhel from Sky News and Malak Fawaz Abdallah from Dubai Sports TV. The keynote speakers are H.H. Sheikh Nahyan Bin Mubarak Al Nahyan, H.E. Fouad Chehab Nabih Dandan, Lebanese Ambassador to the UAE, and Dr. Ahmed Bin Mohammed Al-Jarwan. The awards will be presented to the winners of 16 various categories during the gala dinner, whilst the guests witness some performances by A-list singers Faiz Al Said, Yara, and Walid Toufic throughout the evening. The celebrations will continue into the night, highlighted by both the beautiful venue and the prominent guests in attendance. The awards will not only accentuate achievements in the luxury industry, but also the extraordinary work of CAEL, born through the Balsamat Charity Organization and the official charitable partner of The Luxury Network International Awards 2019. CAEL works to promote the achievements of extraordinary humanitarian acts throughout the Middle East and to highlight the leading role that embassies can play in bringing together people of the region and the world. They commend leading initiatives taken by embassies that help in promoting education, awareness, and collaboration between different cultures and backgrounds around the globe. The proceeds of The Luxury Network International Awards 2019 will be donated to Rashid Centre for the Disabled, to help further their mission throughout the region. “When you look at the work we are doing and how we are really taking the lead in recognizing humanitarian efforts in the region, CAEL is a natural recipient and partner for TLN. We are disrupting old ‘status quo’ notions through education and collaborations, much as TLN is doing,” said Mrs. Amala Shouman Solaiman, President of CAEL. “When we entered the market,” stated Ghattas, “we knew we were really forging new ground by creating market affinity partnerships and collaborations within the luxury industry. We began organizing and managing high-end joint events between the world’s finest brands, allowing them not to only showcase their business, share costs, entertain their own VIP clients and prospects, but also to meet new pre-qualified High Net Worth (HNW) customers from other collaborating brands. It’s an innovative concept of ‘don’t fight them, join them’ – creating a non-competitive environment between the brands and offering their clients new ‘experiences’ through affinity partnerships between brands. Our enormous success over the past decade has really proved a concept model that works and highly sought-after in the industry with our member database of over 30,000. It really has disrupted the luxury industry in the most positive way. Our annual awards gala sums up and celebrates that success and spirit. CAEL is the perfect charitable partner for us to celebrate those achievements with,” he added. The Luxury Network Awards will be bringing together over 200 luxury brands from over 25 countries hailing from Europe, CIS, Middle East, Africa, Asia, and the United States. Some of the award categories include luxury hotel, aviation, F & B, fashion brand, architectural firm, car brands, eco-luxury brand, sustainability, real estate development, national brand, yachting, jewelry brand, bank, and humanitarian award. 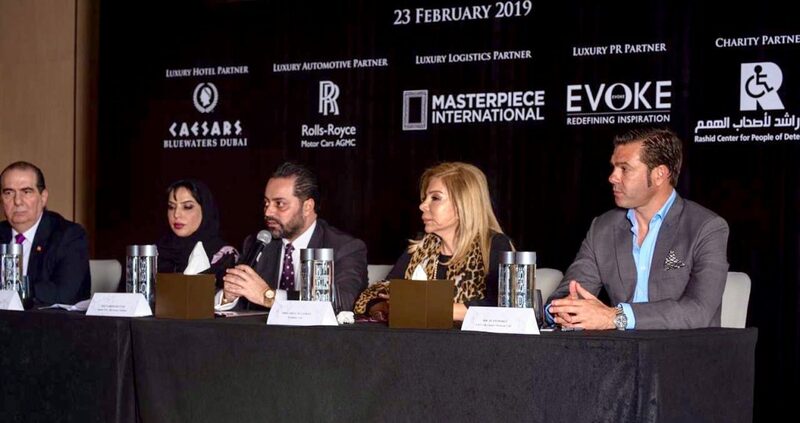 A press conference and luncheon for all international and regional press and media was held at Caesar’s Palace, Bluewaters Island, Dubai last 13 February 2019.